A recent press release from DNA Diagnostics opens thusly, "A team of scientists can verify that their 5-year long DNA study, currently under peer-review, confirms the existence of a novel hominin hybrid species, commonly called "Bigfoot" or "Sasquatch," living in North America." Wow, so there you have it, folks — Bigfoot is real because genes. *Sighs* Okay, let's take a closer look at this "finding". According to Melba S. Ketchum, "extensive DNA sequencing" is indicating that Sasquatch is a human offshoot that emerged in North America about 15,000 years ago after interbreeding with humans and an unknown primate species. Cuz, you know, there were unknown primate species all over North America at the time. "Our study has sequenced 20 whole mitochondrial genomes and utilized next generation sequencing to obtain 3 whole nuclear genomes from purported Sasquatch samples. The genome sequencing shows that Sasquatch mtDNA is identical to modern Homo sapiens, but Sasquatch nuDNA is a novel, unknown hominin related to Homo sapiens and other primate species. Our data indicate that the North American Sasquatch is a hybrid species, the result of males of an unknown hominin species crossing with female Homo sapiens. Genetic testing, say the researchers, has already ruled out Neanderthals and the Denisovans as contributors to Sasquatch mtDNA or nuDNA. "The male progenitor that contributed the unknown sequence to this hybrid is unique as its DNA is more distantly removed from humans than other recently discovered hominins like the Denisovan individual," says Ketchum. "Sasquatch nuclear DNA is incredibly novel and not at all what we had expected. While it has human nuclear DNA within its genome, there are also distinctly non-human, non-archaic hominin, and non-ape sequences. We describe it as a mosaic of human and novel non-human sequence. 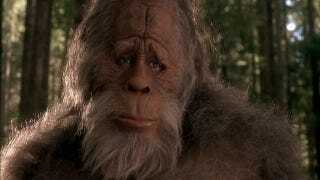 Further study is needed and is ongoing to better characterize and understand Sasquatch nuclear DNA." Wow, so that's all very science-y sounding and official and stuff. It must be true. Mustn't it? There are several significant issues with this. First is this line from the news release, "Full details of the study will be presented in the near future when the study manuscript publishes." That is a massive red flag. Real research scientists almost never pre-announce their research findings. That is, they don't go public with big news until it has been vetted by peer reviewers and, at the very least, been accepted for publication. In this case Ketchum is stating a discovery as scientific fact before other scientists have studied her evidence. In effect she is using the mantle of science to confer credibility on her discovery, without actually deserving the credibility. And as Berger also points out, Ketchum's company, DNA Diagnostics, got an "F" from the Better Business Bureau and has had more than a dozen complaints lodged against it. There's also the question as to where Ketchum et al got the DNA sample. That would be important to mention, no? Well, as further digging reveals, the DNA sample was acquired from a blueberry bagel left in the backyard of a Michigan home that, according to the owner, is regularly visited by Bigfoot. How nice. Yeah, thinking that the study won't make it past the peer review stage (if it's even there at all) — but given that Ketchum is making a documentary about her finding, it's very possible that we haven't heard that last of this story yet.